My kids think it is the coolest thing ever to be able to use bubble bath in the bathtub. We like to make beards and melting snowmen...but sometimes all of the harsh chemicals in bubble bath make it not so good for sensitive skin. Then, Kandoo came out with an awesome bubble bath that solves this issue. With no dyes or scents, just lots of fun, fun bubbles, this is the bubble bath safe for every child! 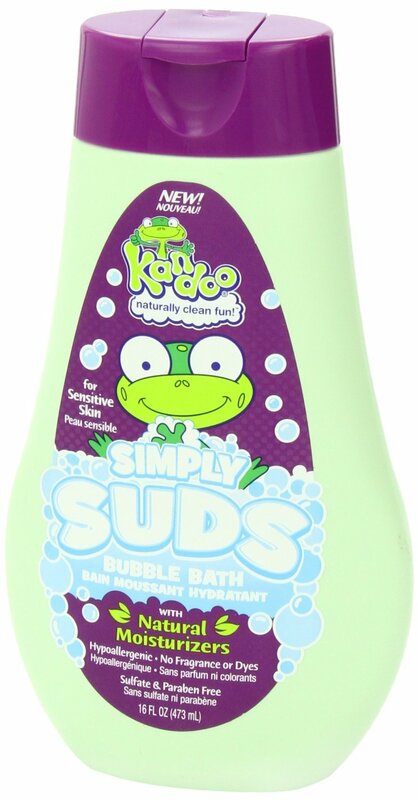 My son has sensitive skin, and this bubble bath does not cause any reaction in him at all! As a matter of a fact, his skin feels softer and smoother than it ever has before with this bath of shea and cocoa butter suds! Kandoo has provided us with nothing but good, clean fun and now you can try it too! You can also download a coupon for .50 off any Kandoo product on their site for a savings! This sounds like a great product, perfect for children with sensitive skin. Thank you for sharing this review.